Few weeks after we shared with you the elegant wedding picture of Odunlade Adekola and Mercy Aigbe, another movie couple has surfaced from Nollywood. Check out the beautiful wedding pictures of Nigerian movie producer Femi Adebayo and star actress Tayo Odueke popularly called Sikiratu Sindodo. The couple got married on a movie set few days ago. Wetin femi wan do with second hand blackberry? kai, see wetin she dey put for front. I sabi watch this movie o. May GOD bless ur union, lols. This is not a real wedding. Even the mad ones appreciate good thing in life.wake up from dreams and face reality. 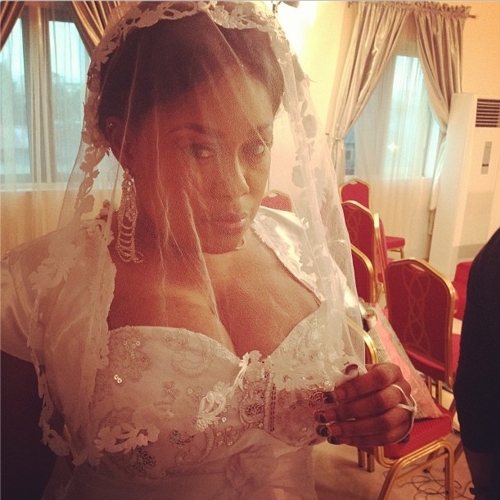 I hope it wil last long and not the nollywood as usual, but the combination na waooooooooooooo. wander can never end, i pray is nt reaal bcos d two are nt compactible. Femi na every lady’s choise, common guy wake uo frm sleep. Oga Bello, wetin you dey look , your son wan jasi kanga [ well] and you open your eyes say den det act movies, oju ko na fi omo ninu ekuro ooo, oro Femi needs special deliverance and prayer from white garment church , if muslims can not handle his problems. 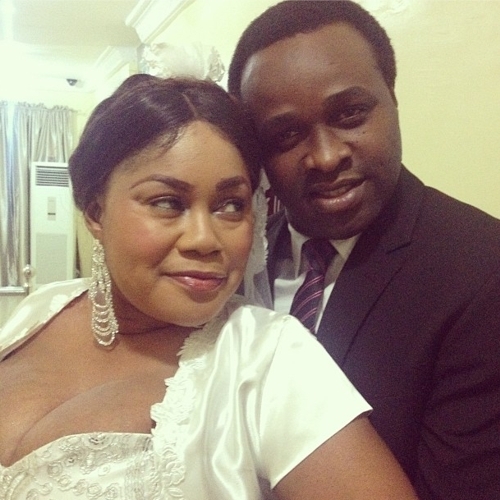 may Allah save your head FEMI ADEBAYO … OKO ASHYYYYS. Funny pple,,always understand wateva u read b4 commenting,expecially online posts,,all you just saw its from a movie set.